It’s no coincidence that the Terry Fox Research Institute chose today to reveal a countrywide network that focuses on personalized care for cancer treatment. Darrell Fox remembers how excited his brother was on this day, 39 years ago. He had trained so long, pounding out thousands of kilometres, in preparation for a cross-Canada run. 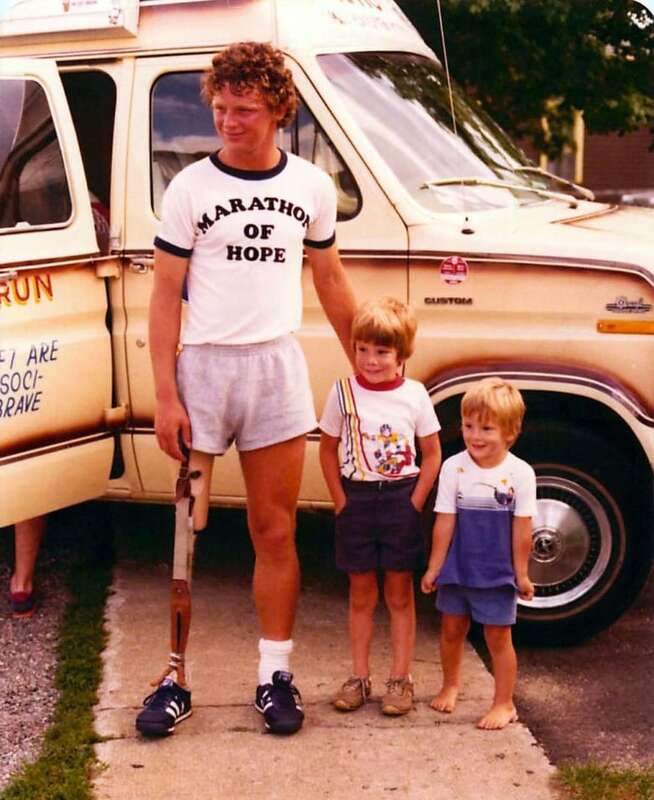 On April 12, 1980, Terry Fox dipped his prosthetic leg in the Atlantic Ocean off St. John's and hit the road on his Marathon of Hope, a long-distance run to raise money for cancer research. It's no coincidence that the Terry Fox Research Institute chose Friday to announce a nationwide network that focuses on highly personalized care for cancer treatment. "We're continuing the Marathon of Hope," Darrell Fox told CBC Radio's St. John's Morning Show. "We're uniting cancer researchers, scientists, provinces, universities and hospitals in this Marathon of Hope Cancer Centre network." The network links researchers and health care workers to collaborate and learn from one another. "It doesn't matter where you are in the country, you should have the same opportunities, and that's what this network will offer," Fox said. Victor Ling, president and scientific director of the Terry Fox Research Institute, said doctors and researchers working on "precision medicine" will be able to collaborate to hone techniques and develop best practices. Precision medicine is a tailored approach to health care that considers a patient's genome and DNA mutations created by a specific tumour. Experts use new technology like DNA analysis, artificial intelligence and advanced imaging, including MRIs and PET scans, to develop a deep understanding of cancer. The more doctors know about how the disease is attacking a person's body, the better they can customize a treatment plan. "That cancer can be understood, and the right drugs or the right treatment can be given," Ling said. The network is funded in part by a commitment from the federal government of $150 million over five years. Researchers from across the country, including Memorial University professors, are involved. "Every time a patient is treated, no matter where they are in the network," Ling said, "we learn from each other and we share the information."